Is the NHL to Vegas a Done Deal? So, is the NHL to Vegas a Done Deal? From reading this Las Vegas Review-Journal, it doesn't sound like it. Dustin Nelson of the Hockey Writers writes that the announcement could come on June 22, 2016. Steve Carp, Las Vegas Review-Journal --- The NHL’s nine-member executive committee met for just over four hours Tuesday in New York, but would not reveal its decisions on expansion and what recommendations it would make to the league’s Board of Governors when the 30 owners meet June 22 in Las Vegas. Three options were being considered: expand by one or two teams for 2017-18, delay expansion until 2018 for one or two teams, or put expansion on hold indefinitely. Las Vegas and Quebec City have submitted applications for expansion teams and been involved in a long process since July. Bill Foley, the billionaire businessman who is the major force behind Las Vegas’ expansion bid, said he did not know the outcome of the meeting. A spokesman for Joe and Gavin Maloof, who are minority investors and were in Las Vegas on Tuesday, said, “We haven’t heard anything. I guess we will find out if Vegas is getting an NHL team or not. Advertising on Jerseys for World Cup of Hockey? I think that putting gaudy advertising on hockey jerseys is a horrible idea. I think it would cheapen the team's uniforms. It's a hockey jersey, not a race car. Is the NHL Taking Canadians for Granted? This is an interesting read, is the NHL taking their Canadians fans for granted? I don't know, that would be very hard to quantify. Tony Keller, The Globe and Mail -- Have you heard? The National Hockey League has a problem with its best fans: Canadians. Globe reporter James Bradshaw recently laid out the story, chapter, and verse. Hockey has become extremely expensive to play, fewer kids are taking it up, other sports are challenging the puck’s dominance with viewers, and at least one survey says that basketball, which barely registered in the national consciousness a generation ago, may now be as popular as hockey among young Canadians. Rogers, which paid $5.2-billion for the rights to broadcast NHL hockey until 2026, is facing soft TV ratings, which plunged further during this spring’s playoffs. Some of this can be explained by one-time disasters, like how zero Canadian NHL teams made the playoffs this season. Others point to long-term demographic trends – namely that most new Canadians are originally from somewhere where hockey is unknown. Here's your problem, there are no Canadian teams in the Stanley Cup Playoffs this season. That has to be a big factor in the "soft" television rating in Canada. Second, I don't blame Canadians for the soft ratings.At times, I think the hockey on the ice during the Stanley Cup Playoffs has been boring. I find myself less interested with the Stanley Cup Playoffs this season. 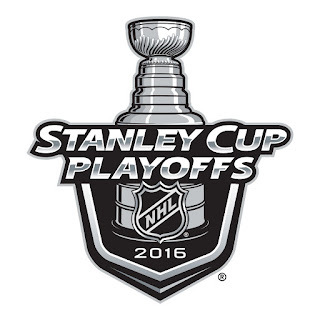 During this year's Stanley Cup Playoffs, I've found myself watching something other than hockey during some of the series. There's not a lot of interesting story lines. Think about this, there's not Montreal Canadiens, no L.A. Kings, no Blackhawks. There are no real villains. Besides the Penguins there's no real team to cheer against. 3-1 #NHLBruins! Empty-netter from Matt Beleskey with 49.5 on the clock in the third. Buffalo Sabres rookie forward Jack Eichel makes scoring a clutch goal look really easy. I also love the call of the goal by hall of fame announcer Rick Jeanneret. This guy is one of the best in the business. Jeanneret is set to retire at the end of the 2016 NHL season. The first question out of my mouth: will this hit receive some extra scrutiny from the National Hockey League's Department of Players safety? Before you jump down my throat, I am a Boston Bruins fan. But it does appear that Bruins forward Zac Rinaldo caught Tampa Bay Lightning forward Cedric Paquette in the head/jaw with his shoulder. Rinaldo was given a two-minute penalty for illegal contact to the head. Aren't these the types of hits that were trying to remove from the game of hockey? This is the third penalty shot goal of the season for the Boston Bruins. While I am sure that Pittsburgh Penguins fans will disagree with the call. Defenseman Derrick Pouliot's stick penalty prevented a scoring chance by David Pastrnak. Reading the NHL's penalty shot rule, I believe this is the right call. With Pastrnak's goal, this marks the first time in #NHLBruins history the team has tallied 3 penalty shot goals in one season. Announcer, "We've got Wheeler and Bergeron. Really." I couldn't believe it either. Patrice Bergeron came after Blake Wheeler. This was the fist fight for both players this season. Neither players fight very often. Wheeler has been in seven NHL fights and Bergeron has been in four NHL fights. Are Hockey Fights Going the Way of the Dodo Bird? Check out this article. Some good points. Windsor Star -- As one of the few Wings who does fight – Abdelkader and Brendan Smith are the only current Detroit players with a fighting major this season – he views the frightening video as another potential nail in the coffin for the future of hockey fights. “I think there could be a place for fighting as far as just policing the guys,” Abdelkader said. “It’s the after the whistle stuff, the different things that can go on. In Detroit’s most recent game, no Red Wing challenged Philadelphia’s Ryan White after he was assessed a match penalty for a head shot on Detroit’s Tomas Jurco and Wings’ coach Jeff Blashill accepted that development as a reality of the way the game is played today. The other night, San Diego Gulls forward Brian McGrattan was knocked out in a fight with Daniel Maggio of the San Antonio Rampage. For now, fighting is allowed in the National Hockey league and in the American Hockey League game. Most Junior hockey league have done everything they can to limit the number of fights a player can be involved in during the course of a season. The OHL has a 10-fight limit. After a player reaches 10 in a season, he's subject to stiffer disciplinary action. In other words, fight 11-15 are rewarded with a two-game suspension. College hockey banned fighting many years ago. If you watched the fight in question, you know it was an ugly incident. None of us ever want to see player get hurt on the ice. The McGrattan incident will give anti-fighting cabal the necessary ammo it needs to push for a fighting ban in all levels of hockey. Actually, these incidents will give credence to their argument. In today’s salary cap NHL, teams can’t afford to carry one-dimensional players on their roster. They don’t have that luxury. Teams can’t afford to have a player that plays four shifts a game and sits on the end of the bench huffing and puffing at people. They need players that can score goals, kill penalties and chew up minutes. Players that can fight and play hockey have greater value and still have a role in the NHL. See L.A. Kings forward Milan Lucic.